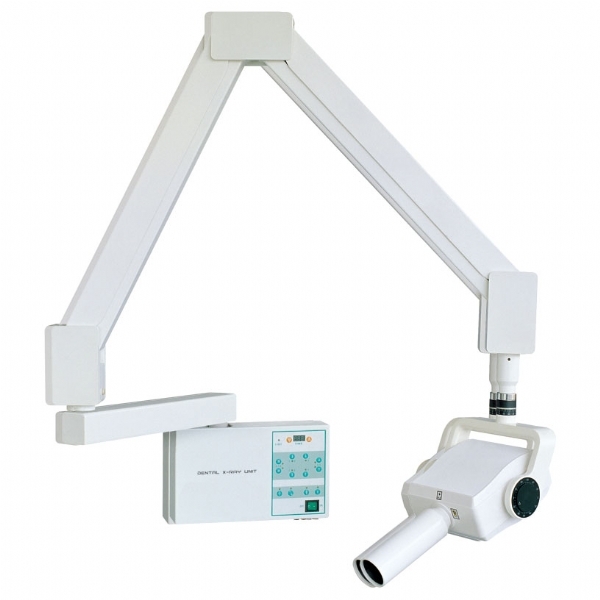 dental X-ray unit MX-3 is installed at the desired length and height and maximum safe. 1.The microprocessor-controlled timer brings high-tech X-ray image at your fingertips. 2.The control panel alloes an accurate and fast exposure time selection while protecting the head during X-ray examinations. 3.Fitted with 70KV 8Ma tube with perheading grid, the machine has been specially designed for intraoral dental diagnosis applications. 4.Complies with local and international regulations on ionizing radiation protection for maximum safety. 5.The soft positioner arm ensures naturally smooth and well-balanced movements. 6.It is easy installed at the desired length and height. 7.Its ergonomics and design have been studied to meet requirements of the most demanding practices in matters of floor space optimization. 220V50Hz Total filtration: 2.5mmAL Exposure time: 0.2 to 4 sec, total weight 35 kg.